Confusing what is habitual for what is natural is a major reason why you end up overriding the wisdom of your body. As explained in the previous blogs, muscular overdoing can be a compensation for skeletal distortion and skeletal distortion can happen from muscular overdoing as well. Unfortunately, all this comes to feel natural simply because it is habitual. However, muscular overdoing and skeletal misuse are both coming from the most essential oversight of all: lack of expanded awareness due to a disconnect from our beginner’s mind. The key is to realize that you can only focus your mind on what you are aware of. 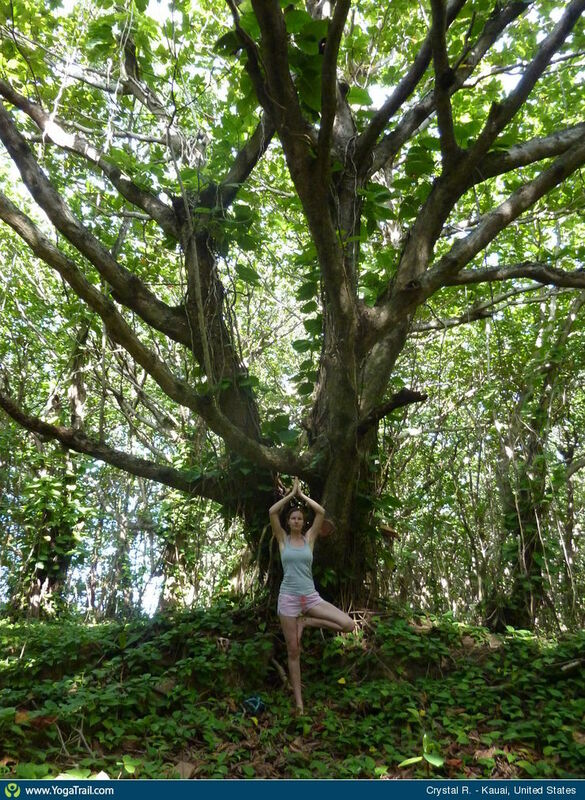 When you are being mindful on the yoga mat, the broader your body awareness, the deeper rooted is your mindfulness which allows you to blossom up and out like a beautiful tree on-and-off the mat. Certainly you can already focus your mind on not pushing past your perceived healthy limits. But what about your unperceived healthy limits? That is why somatic education to expand your body awareness is crucial. It makes the difference between your holding a tree pose with excess tension and your releasing through it as you expand up and out into it. Totally different in the moment. Totally different over time in the quality of what you harvest from your practice. Let’s use nutrition awareness as a metaphor for understanding how various levels of awareness can expand to work together. You know what you like and don’t like to put in your mouth. In this case, your focus is on what tastes good, a primitive pleasure even a baby can be aware of. That is one level of awareness to select what to eat. However, you can also include in your decision what is healthy for your body to eat. That brings your awareness to another level. 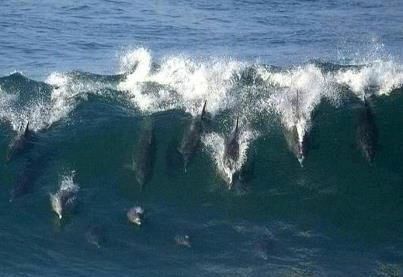 Then again, you may care to include in your decision what is healthy and sustainable for all the humans on the planet. That takes your awareness yet to another level! So as you can see, you may be mindful on some level yet unaware of a broader type of awareness. It is the same with body awareness: you may be mindful when practicing on the yoga mat but what are you mindful of? As substantial as it may seem, what if it is just the tip of the iceberg? Motivated by the good intention to develop strength of body and mind, with all your might you may be controlling your skeleton with your muscles to perform a specific pose. Maybe muscles and bones can work together as a team if you allow them to do so within the framework of the pose chosen by your mind! Try to develop an awareness of your skeleton as your primary support system instead of relying on muscular effort to stabilize the skeleton and see what happens. In this process, you are less likely to overlook the real needs of your body and its wisdom, which is to move efficiently with ease in an integrated way. Watch or re-watch this easy to view 7 min video I had posted in my last blog about how the skeleton works as your primary support system! How to not override the wisdom of your body? Be aware of your whole body no matter what body part you are focusing on. Excess tension interferes with the optimal functioning of your postural mechanism. So release all excess tension into your support without sacrificing your skeletal height so you can feel lighter, stronger but still resilient and balanced in your pose. Try it now as you are sitting reading this blog on your computer or smartphone. This ease and lightness comes from your allowing your postural mechanism to do its job by stepping out of its way. Observe how it affects your body from head to toes as you expand in all directions like bread dough rising. Notice your postural alignment improve with no muscular effort which allows you to go deeper into your growing edge when on the mat. This way, you promote a quality in your movements that is organically sustainable on and off the yoga mat. Known for his meticulous style, Yoga Guru Iyengar himself said: “By attending to the mental and spiritual side, a sincere student of yoga becomes like a smoothly flowing river …”. This fluidity is the gift you receive from your body wisdom when you let your postural mechanism work for you. It micro-manages your joints and muscles for you while taking you to that sweet balance spot quickly and easily. This gift is often overlooked by some yoga teachers and students alike when they focus on a myriad of details to the point they loose track of the big picture. They focus on the hundreds of little waves instead of embracing the entire ocean with its full depth, hidden riches and organic support system. 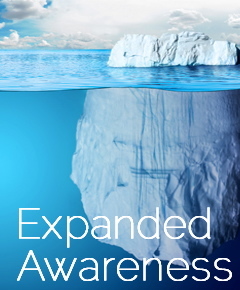 Awareness expands with combined education and experience. You have heard people say, “Life happens when you are not looking!” In the same vain, you could say “the risk of injury increases when your awareness still holds some blind spots”. It does not mean that you have to be on your best behavior 24/7. It is more about educating yourself to increase the depth of your awareness and then choose to be mindful as best you can. Expand your body awareness by learning to let your postural mechanism do its job. It will take you into an inner journey onto the smooth flowing river of your body wisdom. PS: To learn how to let your postural mechanism work for you and avoid unnecessary tension, join one of my classes or workshops listed above!